Unique Picfair Village development site. 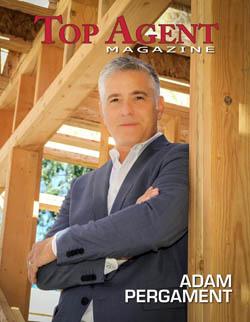 Plans and permits ready to build new custom home. 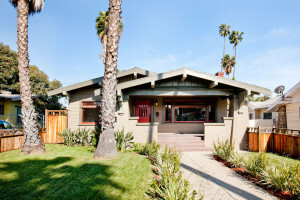 Mid Century home in Long Beach’s Bixby Knolls. Tranquil home on beautiful tree lined street. Tastefully modernized and updated with wonderful ocean breezes. 270 degree views of downtown, city lights and Hollywood sign. New 2018 modern architectural home offers elegant SoCal living, cool breezes and great living/entertaining floorplan. This exceptional townhouse feels like a European villa and a private single family residence. 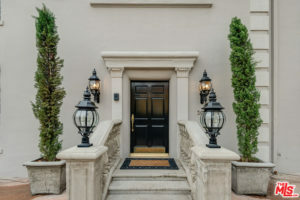 Located in prime Hancock Park, this home is designer done with the utmost elegance, finest quality, and incredible detail. 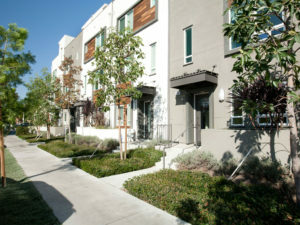 Enter through the front gates to the private and spacious front courtyard. 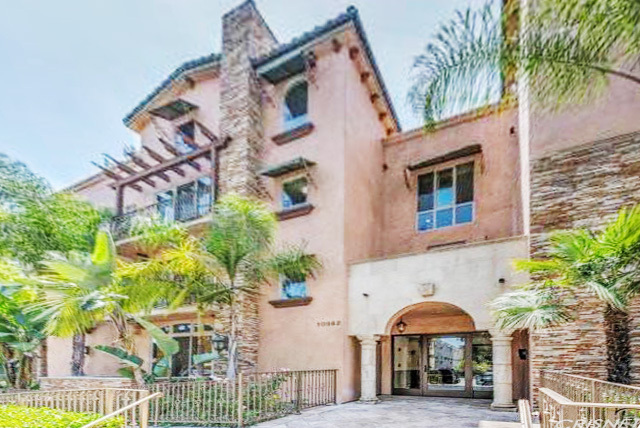 3-story formal foyer to spacious public rooms including beautiful formal living room with fireplace, formal dining room, and gourmet kitchen with professional appliances, Carrera marble island and counters, and breakfast area. Maid’s suite, pantry, and laundry rm off the kitchen. Upstairs are 3 en-suite guest bedrooms, each magnificently appointed, as well as the gorgeous master suite. The master suite is much like its own private residence with fireplace, kitchenette, dual closets, mezzanine office, and lovely bath. The top floor features a fantastic media room with bath and kitchenette. 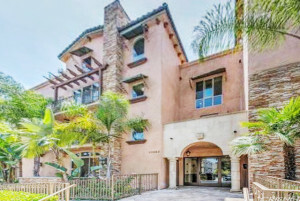 This townhouse sits apart from the Sycamore Tower condo complex, has private access to the pool and common areas, and a separate address. 2-car parking and security. 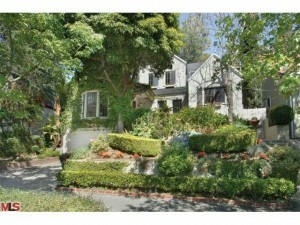 Private and prime Los Feliz Oaks meticulously renovated 4,130 sqft gated property on a 12,572 sqft lot. Secluded swimming pool with city views. Open, airy with spacious entertainment patio for big party gatherings. Carrera marble counters, stainless steel appliances, elegant master, luxurious Bath with balcony. Lush landscaping, fruit trees, meditation area and waterfall. 1928 Spanish Quad-plex with original character in the Beverly Grove area. 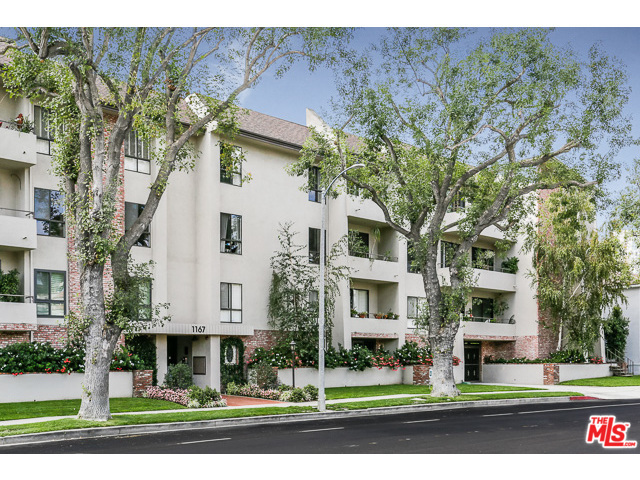 It’s location offers close proximity to The Farmer’s Market, The Grove, Fairfax District, and West Hollywood. 5,400 sq.ft. of living space and a lot size of 6,499 sq.ft. zoned R1.5. Unit mix consists of 2 Bedroom individual units each with 1 bathroom. There are (4) single car garages with (4) single car surface spaces. Each unit has it’s own laundry hook-ups. 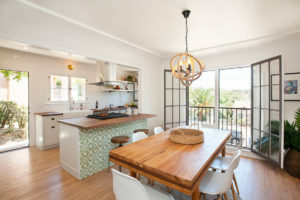 Bright and airy remodeled modern split level with vaulted beamed ceiling located north of Los Feliz Blvd. Sophisticated entertainer’s home features a spacious upstairs kitchen, dining, den and living areas with a great open floor plan flowing onto an expansive view deck overlooking the hillside and mountain views. This split-level 3bd/3ba w/office offers 3 fireplaces, two private outdoor decks, large entertaining seating areas, usable flat yard and two car garage. Theater screening room den with surround sound throughout the house. Sited around the blue saltwater pool and covered pergola are three turnkey residential structures: 3+2 main house, 1+1 guest house with vaulted ceilings, and 1+1 pool house with loft bedroom. Cook, entertain, and dine in the outdoor dining room by outdoor kitchen. Property includes raised-bed vegetable garden, steel storage pod, and fully plumbed, convertible two car garage. 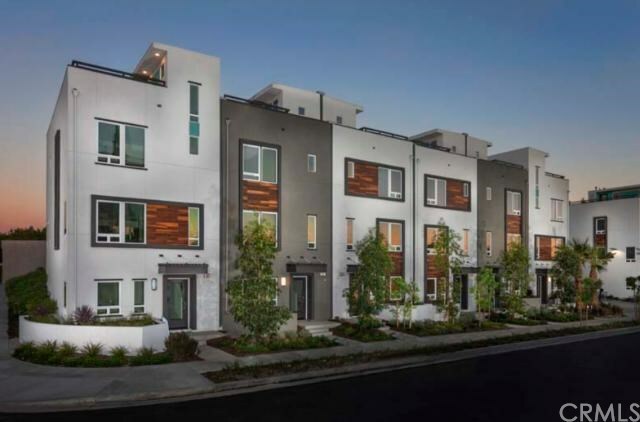 Environmental and other upgrades: solar electric and thermal panels, native and drought-tolerant landscaping, large motor court, and LEED Platinum certified main home with high ceilings. Nestled on a quiet hilltop road, this re-envisioned 1927 character Spanish boasts spectacular views. The light filled 2 bed/1.5 bath home has two finished bonus rooms ideal for an office and guest room, adding approximately 350 sqft to the assessed square footage. Gleaming white oak floors throughout, designer bathrooms with Kohler fixtures, cement tile, hand painted kitchen floor, designer lighting fixtures, dramatic picture windows, custom built storage, tankless water heater, HVAC, and Viking range are just a few of the wonderful features this gorgeous home offers. The sprawling, professionally landscaped 13,255 sqft lot offers multiple outdoor living and seating areas perfect for entertaining, including an expansive deck, fire pit, courtyard and view terrace. 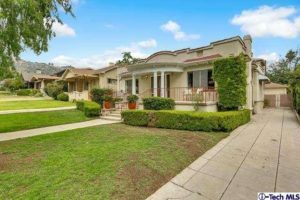 Located within the coveted Ivanhoe Elementary school district, near the Silver Lake reservoir, the Meadow, dog park, LAMill and popular restaurants. 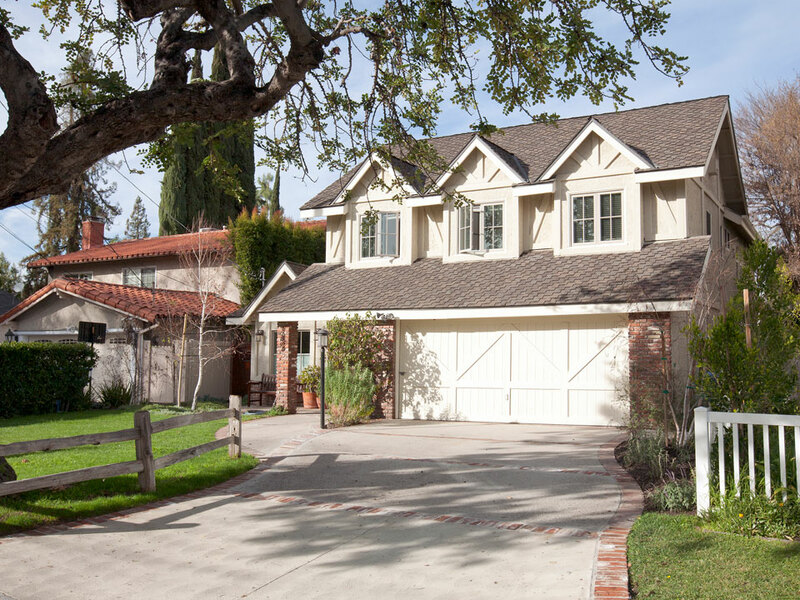 Stunning fully remodeled open floorplan 4 bed / 3 bath home with attached two-car garage in the heart of Studio City, near Beeman Park. Vaulted ceilings, hardwood floors, carrara marble countertops, Viking range, and all stainless appliances. Other features: kitchen island and built-in banquette, built-in custom cabinetry in living room, whole house water filtration system, outdoor spa. 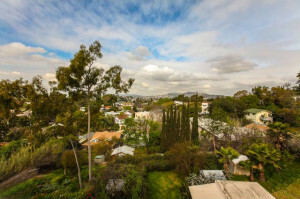 Close to Ventura Blvd restaurants, shops, and cafes. Charming Spanish home nestled in the Hollywood Hills. Gorgeous updated 2 story walled and gated villa surrounded by outdoor entertaining space with serene fountains and greenery. Dark wood floorings throughout, beamed ceilings, cabinetry and french doors. Gourmet kitchen with granite countertops and top-of-the-line stainless steel appliances. A truly private, romantic retreat just minutes from the Sunset Strip. 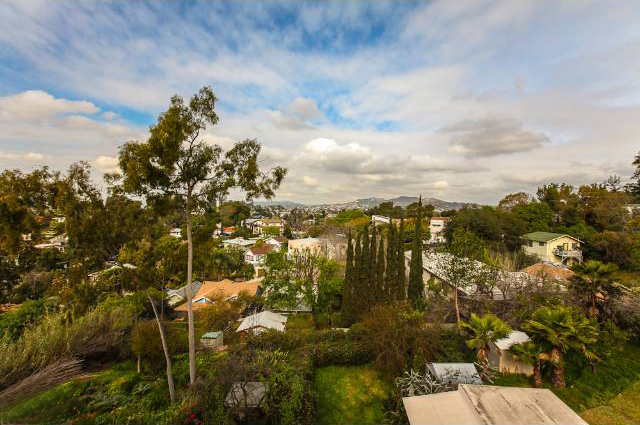 Charming Silverlake Spanish duplex (2+1, 1+1) with original period details set atop a knoll with panoramic views of the Hollywood Hills, including the famed “Hollywood” sign. Features include hardwood floors, coved ceilings, built-ins, casement windows, Batchelder fireplace, vegetable gardens, abundant storage, detached two-car garage, and more. Set back far from the street on a large lot for great privacy. 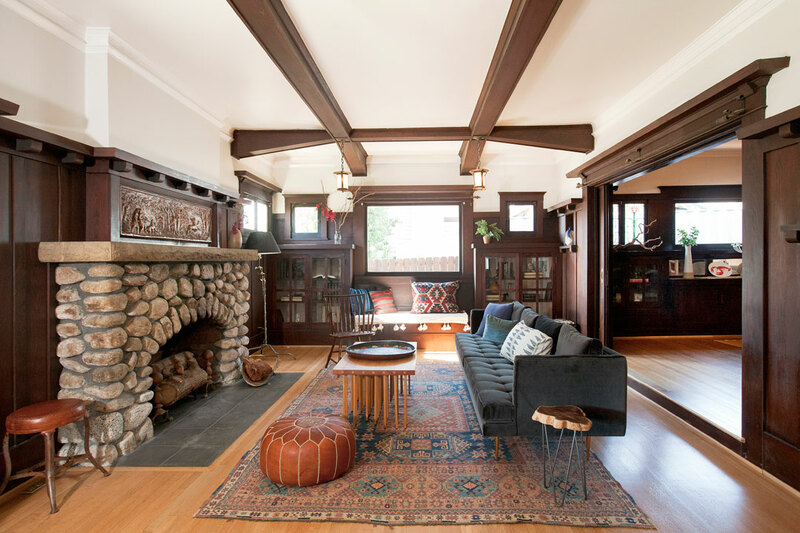 Restored 1909 Craftsman exudes Arts and Craft details with modern designer comforts. Enter through the front porch with clinker brick and stone piers into an elegant living room flanked by gorgeous woodwork, built-ins and a river rock fireplace with the original plaster mantel carving and light fixtures. Step up through double pocket doors into a stately dining room, anchored by the restored built-in buffet and stained glass windows. A large chef’s kitchen is complete with custom cabinets, stainless steel appliances, quartz and oak butcher block countertops. 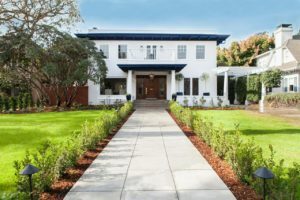 Three large and bright bedrooms and 2 luxurious bathrooms, remodeled with encaustic tile, Kohler fixtures, clawfoot tub, double shower, pedestal sink and apothecary console. Large freshly landscaped lot with room for expansion or a pool. Hardwood floors, new HVAC, upgraded electrical, plumbing and sewer line make this wonderful home move in ready. 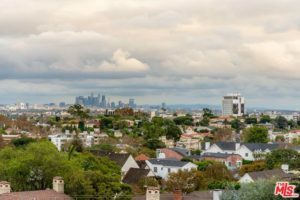 Minutes to Larchmont, Silver Lake and Ktown scene of EMC, Cassells, Line Hotel and Noshi Sushi. 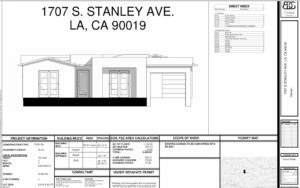 Designer restoration of a 2 bedrooms and 2 baths 1927 Spanish in desirable Verdugo Village, Glassell Park. Located between Atwater, Eagle Rock and Highland Park this airy Spanish bungalow is perched above the street and exudes original character. 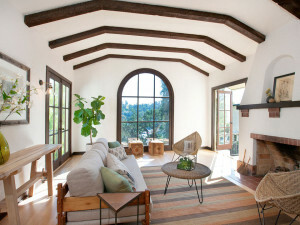 Featuring a dramatic living room with vaulted cathedral ceilings, arched nooks and moldings, chef’s kitchen with custom cabinetry overlooking serene mountain views of surrounding Eagle Rock, Highland Park and Mt. Washington. This light filled home has expansive indoor and outdoor entertaining spaces including new redwood deck with freshly landscaped yard ready for your summer BBQ. 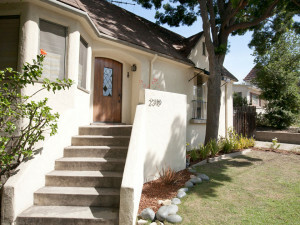 HVAC, tankless heater, 2-car garage all located in the coveted Delevan Drive Elementary and Eagle Rock High. Offering an abundance of original character and charm, history is evident throughout. Refinished hardwood floors and fresh designer colors highlight the true beauty and character details of this classic Eagle Rock residence. From the full front porch, enter into a stunning living room with large formal dining room beyond. Rich original details, gorgeous hardwood floors, a striking Batchelder-style fireplace, extra wide crown moldings, built-in cabinets with dentile moldings and beveled glass, many original windows. These period details recall the charm and craftsmanship of the 1920’s. Adjacent office or cozy den. Over the years, the home was enlarged to its present configuration with 5 bedrooms and 2.5 baths. Space to create Master suite. Upstairs are 2 bedrooms and a full bath. Updated kitchen with tons of cabinets and counter space, plus pantry. Inside laundry rm with sink. The adjacent family room opens to back patio. Huge BBQ patio with fireplace. 2 car detached garage. 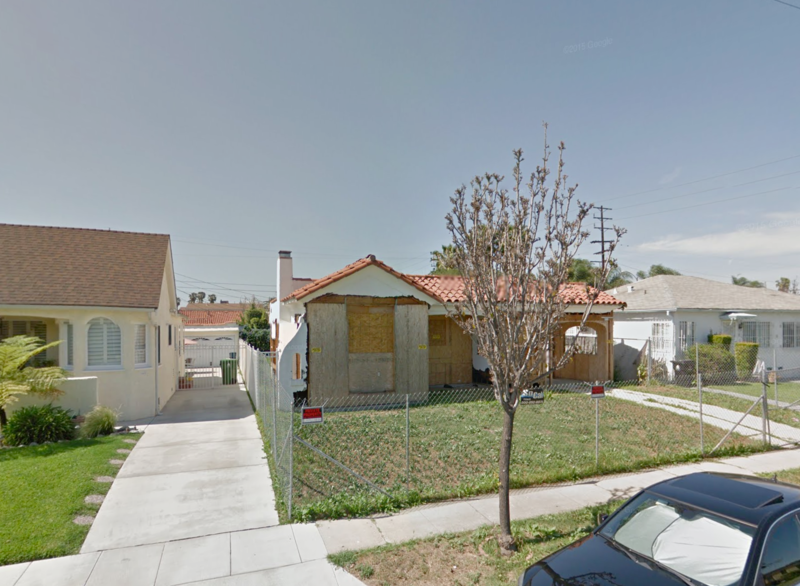 Tremendous upside potential in prime Silver Lake considered to be the hottest neighborhood in Los Angeles. 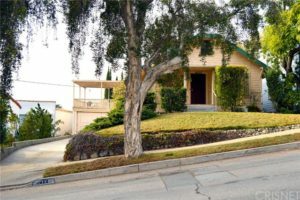 Single family home on 7,043 sqft flat lot with views of the Griffith Park Observatory, HOLLYWOOD sign, Downtown Los Angeles skyline, Palos Verdes and the ocean. 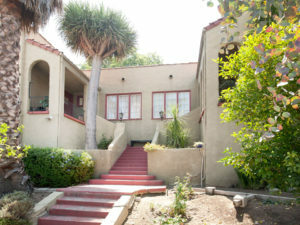 Vibrant yet peaceful section of Silver Lake with a true neighborhood community. Quiet neighborhood just a short distance from cafes and boutiques, restaurants and bars, popular entertainment venues and downtown. 1925 Storybook Country English style home located at the end of a quiet cul-de-sac one block from the Silver Lake Meadow and Reservoir. This serene and sunlit home offers a complete reprieve from nearby city life. Generous living spaces feature character period details, wood floors, barreled ceilings, built-ins, and a charming breakfast nook. A central fireplace separates the living room from the formal dining room with french doors leading to the side garden and secluded patio. 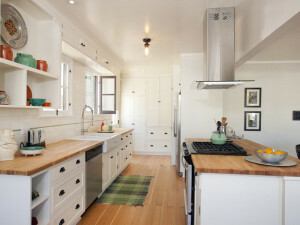 The upgraded kitchen features a Viking stove, granite countertops and lots of storage. HVAC with a separate laundry room. Master bedroom features two closets and french doors that lead to a private back yard. 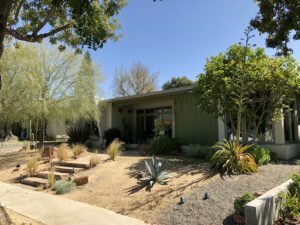 Enjoy the reservoir, Meadow, dog park, LAMill, popular restaurants, local library and soon to be built Whole Foods Market surrounding this prime Silver Lake home. Gated Community of single family detached homes! This highly desirable home is the one of the best locations we have for 2 bedrooms in the entire community! The front door is directly on Gramercy Place which lends great to a walking lifestyle and so close to local restaurants and shops. 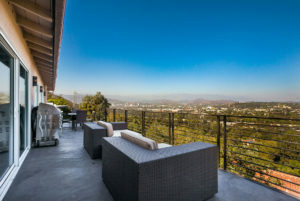 The home has amazing panoramic views of the Hollywood Sign and Griffith Park from its huge rooftop lounge. It features 2 bedrooms, 2.5 baths plus a den with approximately 1,520 sqft of living space and another approximately 450 sq ft on the rooftop lounge. This home features satomi thermofoil cabinets throughout the home with ice snow caeserstone in the kitchen and stunning upgraded archarium tile in the master bathroom. With Lennar’s Everything Included plan you get amazing features like GE appliances and a home automation system included! The home features a 2-bay garage and the community has guest parking as well. Amazing location! Beautiful views. First time on the market since 1942! 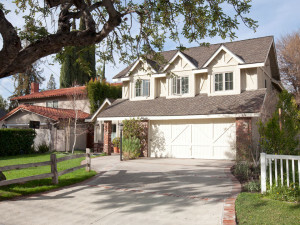 Incredible property in Silver Lake on an expansive corner lot. Conveniently located to all of the best things Silver Lake has to offer. Remodeled corner spacious unit! Best stack in entire complex. 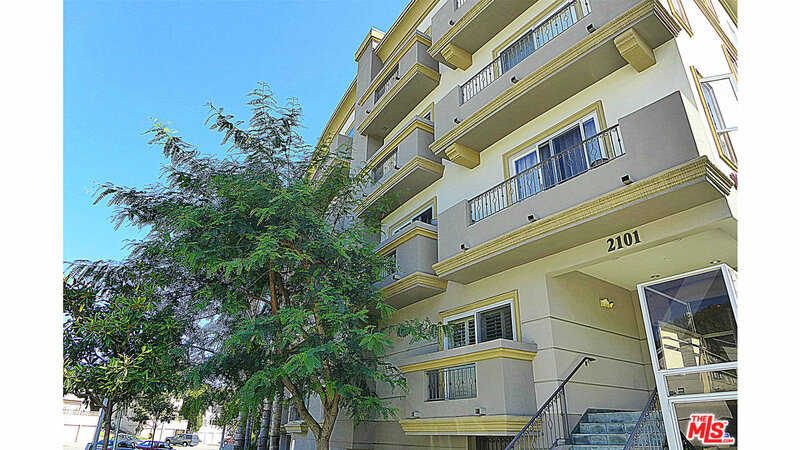 2 large balconies facing north east and south with floor to ceiling glass windows offering unobstructed views of the HOLLYWOOD sign, Beverly Hills, Downtown skyline, and gorgeous city lights. Hardwood floors, bathrooms, lighting, and closets are just a few of the items upgraded. 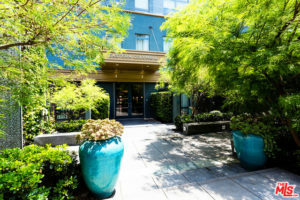 Amenities include: dog park, heated year-round pool, tennis court, full gym overlooking the pool with showers and saunas, underground assigned reserved parking as well as 24 hour valet, concierge and security, outdoor sanded area for children and laundry with send away dry cleaning service. 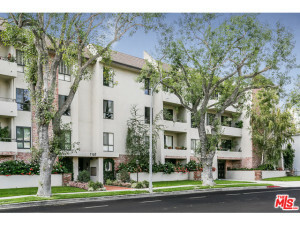 Close to Westfield Mall and Beverly Hills. 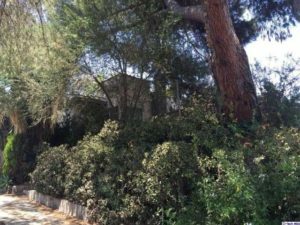 This 4 bed / 2 bath home with its wood-burning fireplace, hardwood floors, romantic setting nestled into the hip Bronson Canyon is surrounded by mature oaks creating a woodsy retreat from the bustle of Hollywood. This home is filled with character details from the 30’s and 40’s yet provides the warmth of substantial home and writer’s retreat. The bedrooms open to a private yard set into the canyon allowing for multiple sitting/dining areas. Minutes to the heart of Hollywood, the Arclight and the W provides a special place to unwind and be in the center of the city at the same time. Designer done, light-filled 1911 Craftsman exudes original character while providing today’s amenities. 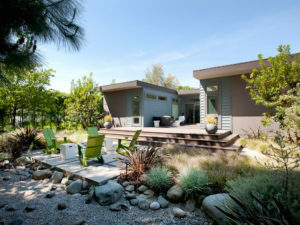 Warm and inviting, the home was designed for indoor/outdoor living. Chef’s kitchen with walk-in pantry, luxurious bathrooms, private master and spacious open living areas look out upon rows of palm trees. Encaustic and carrera tile, frameless showers, Kohler fixtures, claw foot tub, french doors, Bertazzoni gas range, tankless water heater, HVAC, and ample closets. 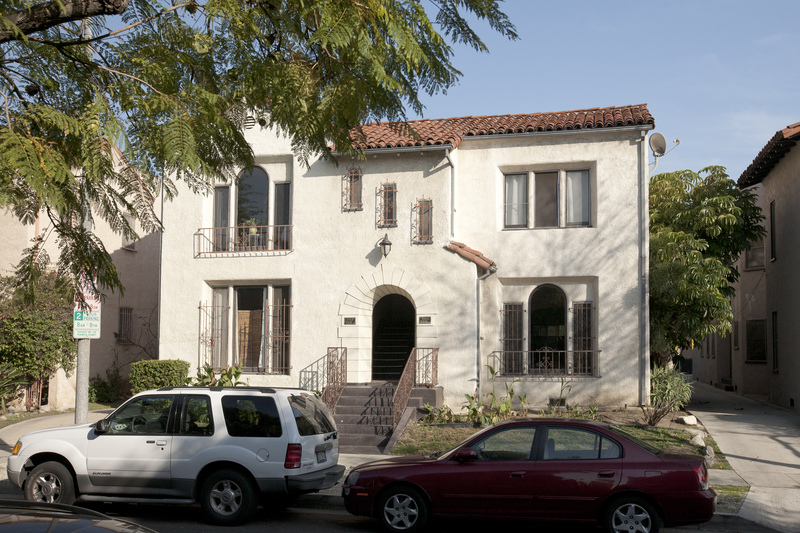 Minutes to Larchmont Village with easy access to Silverlake, Hollywood and Downtown LA. This 3 bd/2.5 bath home boasts generously sized public rooms bathed in warm light, wood-burning fireplace, hardwood floors, dramatic crown moldings and separate den with floor to ceiling bookcases surrounding an inner courtyard accessible by French doors and perfect for al fresco dining. The formal dining room leads to a huge gourmet chef’s kitchen, complete with stone countertops, glass backsplash, plenty of storage, stainless steel cabinets and professional appliances. Master suite includes a stunning spa-like bath, redone with dual sinks, oversized tub and double shower with Mr. Steam. Bedrooms open to a lushly landscaped garden with mature trees and multiple sitting/dining areas. A detached guesthouse includes a beautiful large living/studio area, third bedroom and luxury 3/4 bath. Minutes to dining, shops, museums, The Grove, Beverly Hills, Culver City and West Hollywood, this is metropolitan living at it’s best. 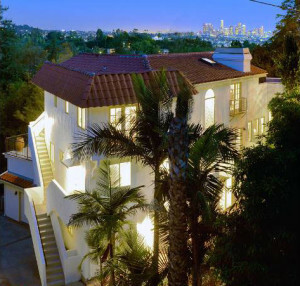 High above Echo Park this beautiful Moroccan style home. Light filled, large rooms, great for entertaining! Big back yard, beautiful views, with hidden hot tub. 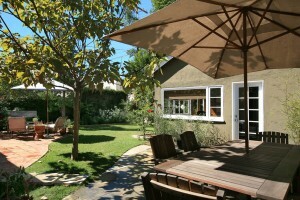 Gorgeous artist studio detached situated in lush garden with brick patio for enjoying indoor/outdoor space. Stunning sunken tub in serene Moroccan styled bathroom with patio opening. Designer wallpapered dining room, perfect for your gourmet dinning. Live in Los Angeles’s most architecturally significant high-rise, the Claud Beelman Art Deco Eastern Columbia Building. This is a sunny, turnkey, south-facing loft residence with one full bedroom, one full bath, plus bonus room. One common wall. Designed by Kelly Wearstler, the kitchen includes solid wood cabinets with leathered granite countertops and all stainless steel appliances. Residents enjoy a stunning 360 degree city view rooftop deck with pool, jacuzzi spa, and fitness studio. This is a full-service building with 24/7 concierge, onsite property management, and gated parking. Building also houses il Caffé, Om Nom Organics, Mykita, and Acne Studios Clothing. 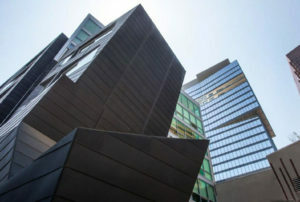 Nearby are Ace Hotel, Whole Foods, CVS, Grand Central Market, The Broad Museum, Otium, Walt Disney Concert Hall, Fashion District. Perched on a small knoll in PicFair Village this stunning re-imagined 1931 Spanish is full of historical charm with all the perks of 2013. Enjoy the light filled open floor plan, designer custom kitchen with stainless steel appliances, Walker Zanger tile, restored art deco bathroom and new master en-suite. Refinished oak and Douglas Fir floors, tankless water heater, copper plumbing, updated electrical. Bonus guesthouse/office/studio opens to a newly landscaped garden through welcoming french doors. The perfect blend of old and new and ready to move in. Walk to Bloom, Paper + Plastik and pilates. 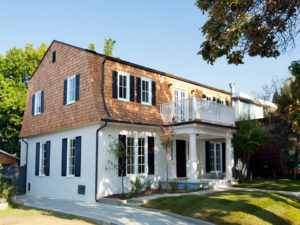 Minutes to shops, museums, The Grove, Beverly Hills, Culver City and West Hollywood. Lovely condo in an exquisite building built 2006, Westerly facing quiet property overlooking lush courtyard and hillside greenery. Gourmet kitchen w/ granite counter-Italian cabinets-stainless appliances. 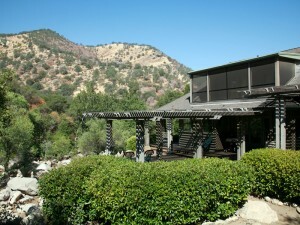 One of the finest waterfront properties on the South Fork of the Kaweah River. This riverfront retreat is completely secluded, surrounded by beautiful native oaks and mountains. A large entertaining patio overlooks 371 feet of river frontage with large boulders, rock formations and seasonal rapids. Wide gravel paths create easy access to the river, perfect for swimming and fishing. The 1,700 sq.ft. home was custom crafted in 1992 and features two bedrooms and two baths, with a loft and screened porch off the master bedroom. 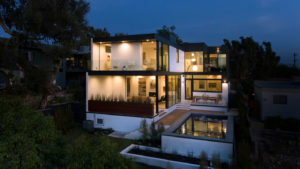 The open floorplan framed by large windows throughout, bring natural light and painting-like views of greenery inside. The living room includes random North Carolina pine plank flooring, vaulted cedar ceilings and a majestic Bouquet Canyon rock fireplace. Custom pine cabinets, Hurd windows, 2×6 construction, cedar siding and river rock pillars are more of its many features. A charming self-contained guest apartment adds an additional 440 sq. ft. of living space. Located near the entrance of the Sequoia National Park. Truly Beverly Hills Adjacent. This bright front facing unit is clean and move-in ready. New carpeting and paint. Smart galley eat-in kitchen with gas cook-top. Side by side laundry in unit. Bonus built-in office space off living room. Gas decorative fireplace. Higher smooth ceilings & recessed lighting throughout. Lovely terrace with tree-top and mountain views. Lots of fitted-out closet space. Spa like master bath w/dual vanities, over sized tub and stall shower. 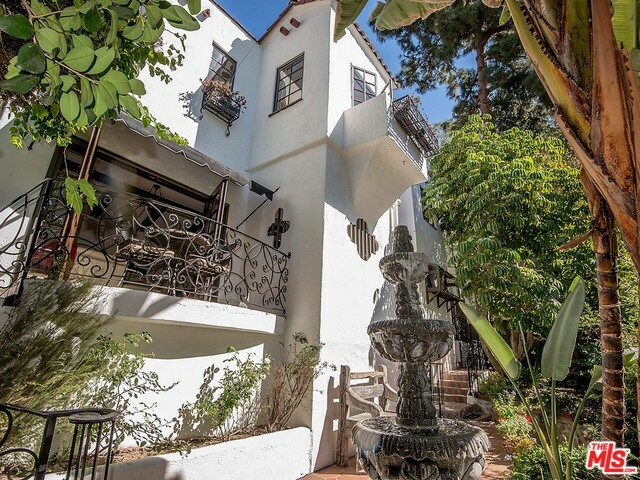 Elegant Tuscan style complex built in 2006 is located in Toluca Lake. 2 bed 2 bath boasts hardwood floors, recess lighting and crown molding throughout. The gourmet kitchen with stainless steel appliances, granite countertops and custom made cabinetry lead to dining room, living room with fireplace and French doors that open to a private balcony. 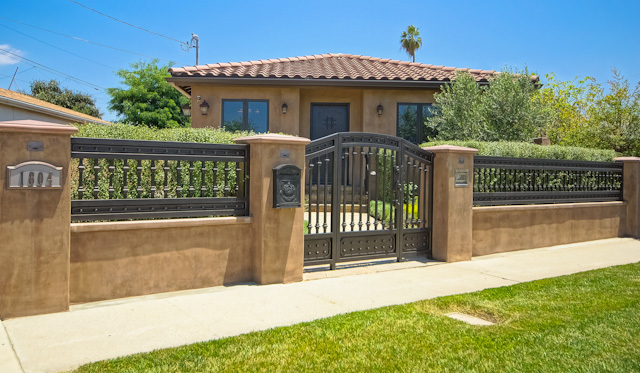 This jewel of Compton features an extraordinary fully remodeled Spanish hacienda. Smooth stucco exterior with gated entry, exterior fountains, new electrical, Rinnai commercial grade tankless heater. Living area & kitchen feature Italian Versailles floor tiling, custom louvered window treatments and Alder solid doors. Pella windows throughout. New Spanish tiled roof. Interior is CAT-5 wired w/3-zoned alarm and 24hr camera monitoring system. Recessed cable wiring in the walls w/dimmer controlled lighting. Sophisticated kitchen gleams with granite slab counters and self-closing cabinetry. Sultry bathrooms beckon your arrival with marble countertops, Kohler sinks and toilets with American Standard spa tubs. The master bedroom offers an oversized closet, French doors to the rear yard and new solid hardwood distressed floors. New HVAC, timed exterior lighting and Bellagio stone pavers surround this impressive and one of a kind property.